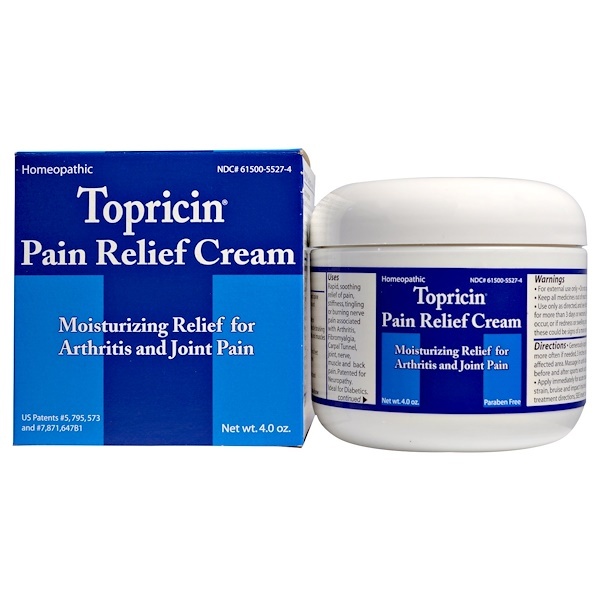 Arthritis and other joint pain and discomfort. Carpal Tunnel Syndrome and other types of nerve pain. Sports injuries (muscle pulls & soreness, impact injury, sprains, dislocations). Repetitive motion injuries, such as bursitis, tendonitis and sciatica. First Aid for simple trauma (bruises, minor burns, cuts, scrapes, strains). Generously apply 3-4 times daily or more often if needed, 3 inches on and around affected area. Massage in until absorbed, re-apply before bedtime and in the morning. Use before and after sports work outs and competition. Apply immediately for acute trauma injuries, (sprain, strain, bruise and impact injuries). For directions specific to injury/trauma, see insert on the inside of this box. 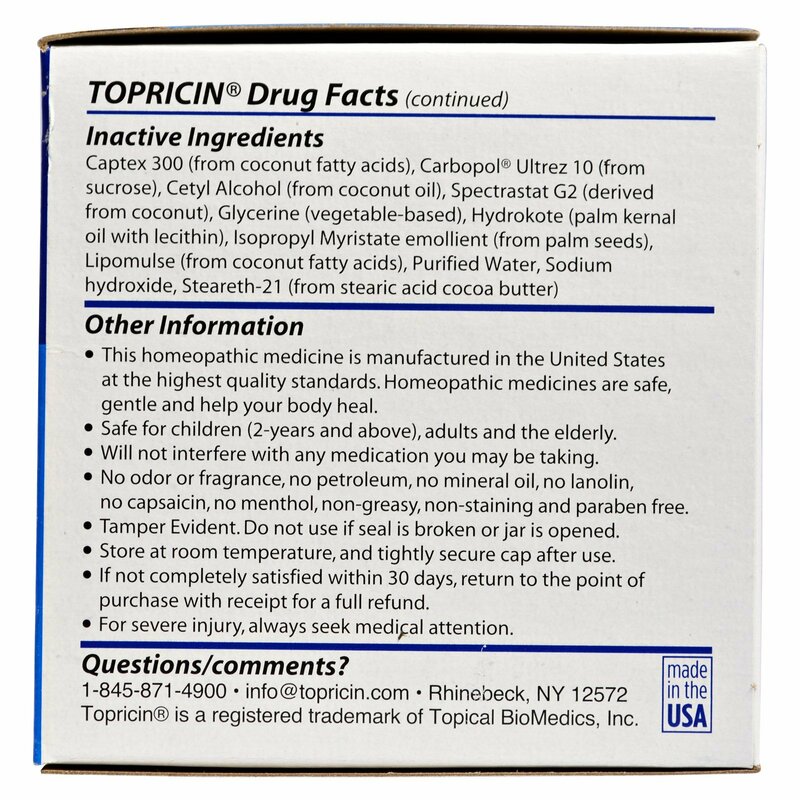 Inactive Ingredients: Captex 300 (from coconut fatty acids), carbopol ultrez 10 (from sucrose), cetyl alcohol (from coconut oil), spectrastat G2 (derived from coconut), glycerine (vegetable-based), hydrokote (palm kernal oil with lecithin), isopropyl myristate emollient (from palm seeds), lipomulse (from coconut fatty acids), purified water, sodium hydroxide, steareth-21 (from stearic acid cocoa butter). Do not apply in eyes. Use only as directed. See doctor if pain persists for more than 3 days or worsens, if new symptoms occur, or if redness or swelling are present; these could be signs of a more serious condition. Before considering any self help regimen always consult your doctor, especially if you are taking a prescription medication. This homeopathic medicine is manufactured in the United States at the highest quality standards. 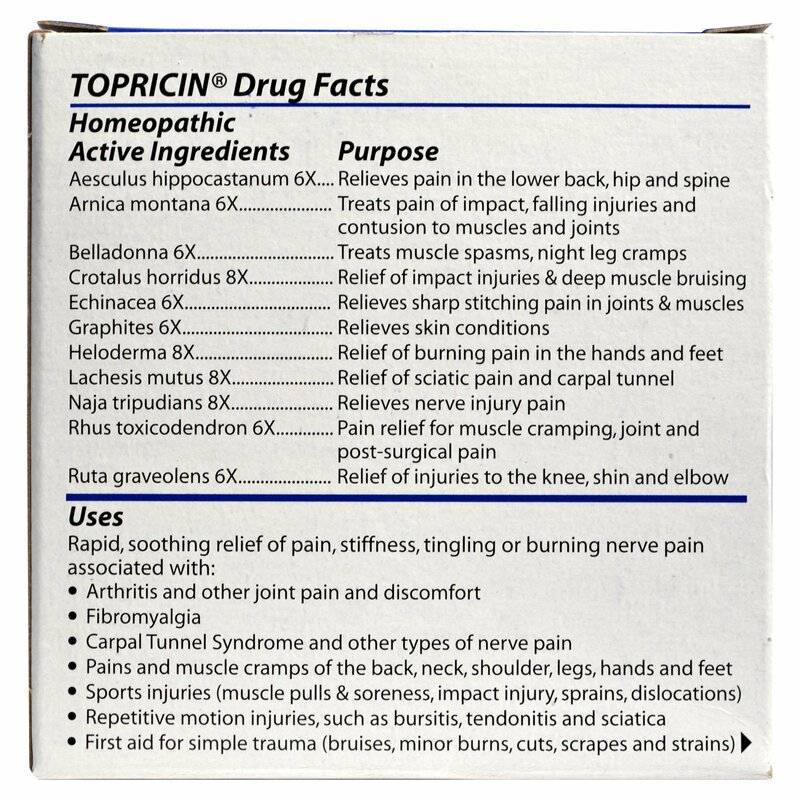 Homeopathic medicines are safe, gentle and help your body heal. Safe for children (2-years and above), adults and the elderly. No odor or fragrance, no petroleum, no mineral oil, no lanolin, no capsaicin, no menthol, non-greasy, non-staining and paraben free. Tamper evident: do not use if seal is broken or jar is opened.